At Barrington Hall we provide motor yacht charters around the world on various luxury yachts. 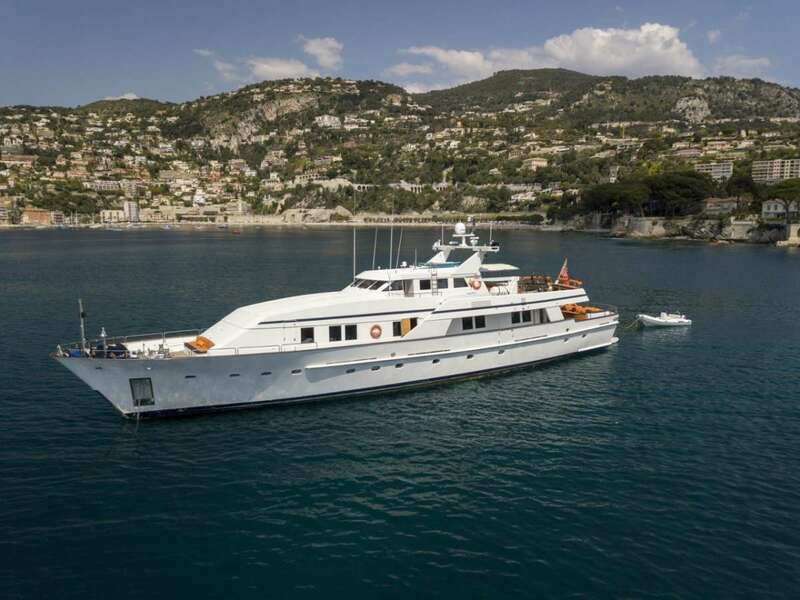 The Motor Yacht listed below, Fiorente, is one of the many motor yachts we offer for charter. 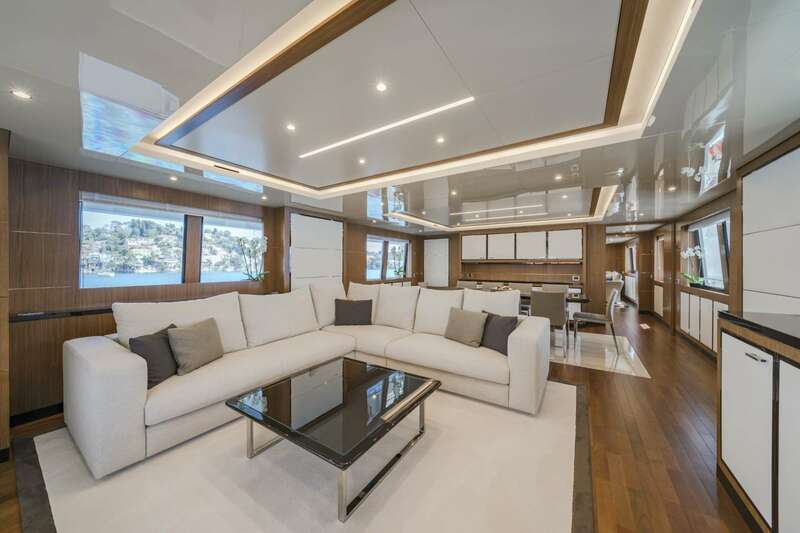 Please contact us for up to date information on Fiorente or any other yachts in your desired location. Full beam master stateroom (lower deck) with king size bed, walk in wardrobe, sofa seating area, vanity area, en suite bathroom with walk-in shower, double sink, bidet, toilet. Large VIP stateroom (lower deck) with queen size bed, wardrobe, vanity area, en suite bathroom with jacuzzi bath, sink, bidet, toilet. 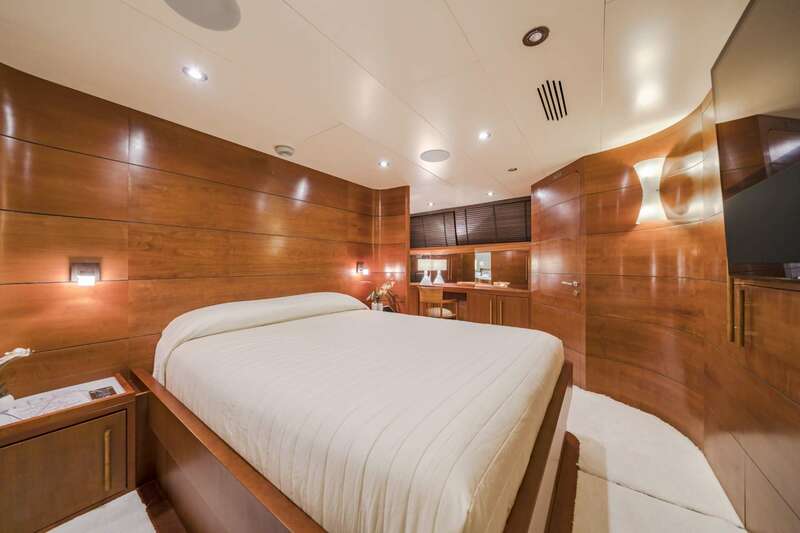 Port side twin cabin (lower deck) with two single beds, wardrobe, en suite bathroom with shower, sink, bidet, toilet. Starboard twin cabin (lower deck) with two single beds, wardrobe, en suite bathroom with shower, sink, bidet, toilet. Double cabin (upper deck) with a double bed, wardrobe, en suite bathroom with shower, sink, toilet. David joins MY Fiorente with over 16 years’ experience in the industry, working predominantly on charter yachts with many repeat clients. 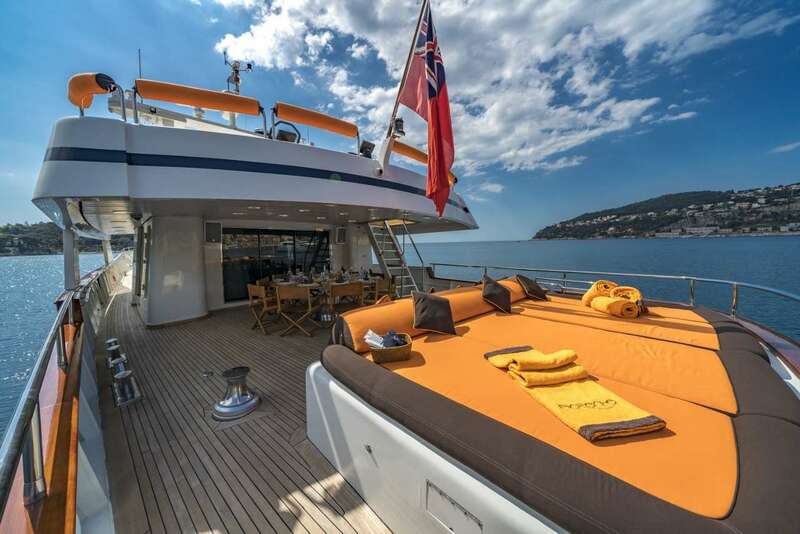 David is also used to the key event charters in the Med, including the Monaco Grand Prix and yacht show and the Cannes film festival. 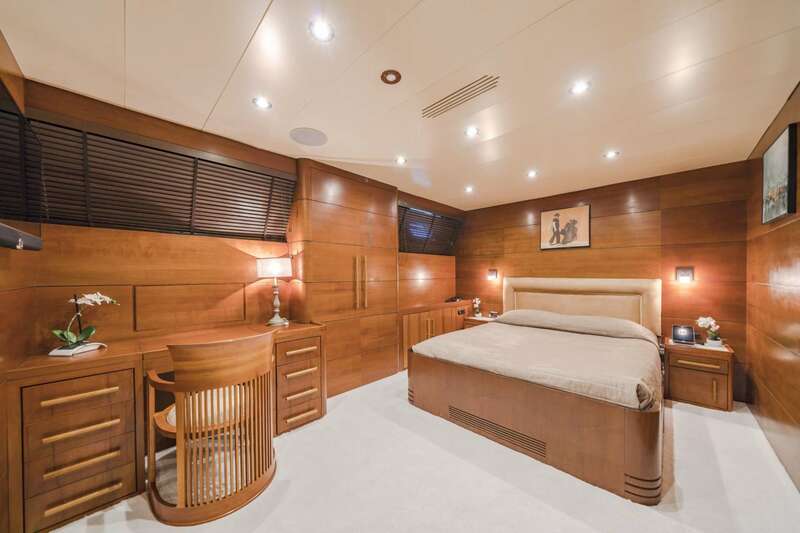 David’s more recent yachts include MY Lady Jane, MY Solaris, MY Bibich Too and MY Junie II. David has a keen interest in architecture, having taken time out to build his own 280m2 solar-passive prefabricated wooden house. David is an active Captain, enjoying many outdoor activities including cycling, running and rowing where he was twice Italian champion in 1987 and 1989. An experienced seafarer, Pedro joined the yachting industry in 2012 as a junior deckhand and has worked himself through the ranks with passion and determination. Pedros strong career orientated work ethic and self-motivated energy brings out the best in everything he does, and his mentoring skills mean that the crew members around him lead by example. A lover of all sports, but especially water sports, fishing and swimming, Pedro would love to find time to perfect his languages and improve his woodwork skills. Currently reading Business and Economics at the University of Pisa, Megan fits yachting around her studies and has accrued 2 seasons experience so far on board MY Forwin (46m) as deckhand and SY Vintage (27m) as Stew/deckhand. Originally from Pretoria, South Africa, Megan describes herself as energetic and hardworking and she is very much looking forward to the season ahead. Joining this crew of 7 as a strong team player Megan enjoys swimming, free diving and underwater hockey and is ready to take on any challenge that comes her way. Danilo, Italian, is a friendly, fun, family man with a lot of energy. He was born in Monte Argentario, a beautiful part of Tuscany surrounded by clear water. he has been sailing and doing reparation work on all kind of yachts. He is also very keen on being on deck and tender driving for fun with our guests using the water toys.